News from Westminster's Labour Councillors. Promoted by Westminster Labour Party on behalf of its councillors and candidates all c/o 4G Shirland Mews W9 3DY. We have asked Sanctuary Housing Association to deal with repairs issues reported by residents in Denbigh Place and Denbigh Street. We have asked the Planning Enforcement Team to investigate suspected unauthorised Airbnb lettings in Denbigh Place. Empty flats in Denbigh Street, Denbigh Place, Gloucester Street and St Georges Drive. Anti-social behaviour from flats in Denbigh Place. We have asked the Environmental Health team to inspect a house in Hugh Street where the tenants have reported mice infestation. We have welcomed the increased on-the-spot fines of up to £150 for dropping litter, including from vehicles. After decades of the Conservatives taking Westminster for granted, residents have a real chance to change the future of this city. Years of cuts have taken their toll on local services, particularly for the most vulnerable. The Conservatives have put the needs of developers above the needs of the vast majority of local residents. For generations they have failed to build the Council (social rent) and lower (intermediate) rent homes that Westminster needs to give the City a viable future. Labour has a credible alternative plan that can be delivered today despite the damage being done by the current government. Our communities are calling out for change, and in this manifesto Labour sets out a vision for how things could be run differently, how we will deliver a Westminster for the many not the few if we are elected to run the council on May 3rd 2018. Thames Water is running a project with Citizens Advice Westminster to help people who are having problems paying their Water Rates. They can help to access hardship funds and apply for grants to pay off water rate debts. They will provide budgeting advice and negotiate regarding other household debts. Contact the Gateway helpline 03003301191. Residents are angry with the very poor performance of CityWest Homes. Service standards have clearly deteriorated after Conservative council cuts to the housing management budget, the closure of local estate offices and the bungled introduction of a new call centre and repairs contract. A Labour Council would immediately put CityWest on notice so that if its performance does not rapidly improve it will be stopped from managing the council’s properties. From day one, Labour will take action to end the repairs crisis and improve the way CityWest treats residents. We will re-establish local estate offices. We will urgently look at further ways to improve the failing call centre system. We will give residents a greater say over how their homes are managed. We will introduce a new leaseholders’ charter to improve support to resident leaseholders and look to limit huge major works bills. In January 2018, we unveiled a dossier of ’20 Nightmare Stories from City West Homes’. The reaction to this from tenants and leaseholders was overwhelming, with many more ‘nightmare stories’ coming to light from all over Westminster. Residents are angry with the very poor performance of City West Homes, particularly following the recent debacles over the new call centre and the repairs contract. We have welcomed welcomed the Mayor’s decision to invest an additional £59m annually to support an extra 1,000 police officers by using income raised from business rates. This will help avoid falling police numbers due to Government cuts to the Metropolitan Police budget. We have also welcomed the Mayor’s announcement that he is creating a brand new £45million fund to help young Londoners who are at risk of getting caught up in crime. The Mayor’s new Young Londoners Fund will see £15m invested in each of the next three years, beginning from April. Of the total new funding, £10million a year will make up a new fund into which local communities, charities and schools will be able to bid for funds, and £5million a year will be invested to scale up existing projects funded from City Hall that are already supporting young Londoners. In addition, over 1,800 people have signed Westminster Labour’s petition to halt the Government’s further £400 million cuts to the Metropolitan Police budget. The petition to Parliament, https://petition.parliament.uk/petitions/203543, runs until 27th April. If Labour win the Council we will create a new type of affordable housing – Westminster Key Worker Homes. We will commit that, in addition to social housing, all new affordable housing built on council land will be at rents that are affordable to residents on average and below average incomes. We will ensure that these homes are focused on providing opportunities for long-standing residents of Westminster and key workers such as nurses, teachers, firefighters and the police. If elected in May Westminster, Labour will keep Council Tax low. Labour will support the current proposals by the Council for a freeze in the Council Tax rate and a 2% rise in the adult social care precept in 2018/19. If elected, we will not raise the council tax and adult social care precept by any more than the Conservatives have over recent years. Council Tax is always an emotive issue. Westminster Council receives the highest levels of parking revenue (£73.2m) in the country as well as substantial commercial income from its large Central London property portfolio (£42.8m) that help prop up its finances far more than in other boroughs. Westminster also has a long-track record of under-investing in its public services and its upcoming budget plans to cut over £3 million from services for children and young people and £2 million from rough sleeping and supported housing. Due the impact of crippling Conservative Government cuts to local council funding, Westminster Conservatives have raised the Council Tax (including the adult social care precept) every year since 2016. We have pledged to clean up Westminster’s Planning system if we are elected at the Council elections on 3rd May. There is a clear perception that senior Conservative Councillors have very close relationships with developers. For example, the Conservative Deputy Leader of the Council, Councillor Robert Davis, has disclosed that since the start of 2015 he has received hospitality related to his role as a City Councillor from developers, big business and other interests a record 514 times. This equates to a staggering 14 cases of declarable hospitality a month, peaking at 47 cases in December 2016. We believe that such an approach does not help build public trust that the Council will put the needs of residents before those of property developers and business interests. Labour Cabinet Members and Councillors will not accept hospitality from individual developers and their agents. Labour will require the Council to formally record all meetings between Cabinet Members and developers when discussing individual schemes. There will always be an officer present. A record of these meetings will be posted on the Council website within two weeks. Labour will urgently reform the fees and charges for bulky waste collection, restoring a ‘first time free’collection and reducing costs for standard collections. We will develop a new ‘express collection’bulky waste removal service. We will look further at the use of mobile cameras to help enforcement at fly-tipping hotspots and at ways to increase fines for dumping. As part of our support for a new Private Renters Charter we will improve the information provided to landlords, letting agents and tenants. We will provide a smartphone App to make it easier for residents to make use of the Council’s ‘report it’ service, helping further target the worst affected areas. The local Westminster City Council elections are on Thursday 3 May. If you aren’t already registered to vote, you need to do so to vote in this local election. The deadline to register at gov.uk/register-to-vote is Wednesday 17 April. It only takes a few minutes. Anyone who is already registered to vote does not need to re-register. If you have moved home in the last few months and have not registered to vote at your new address you still have time to register at this new location. The other key dates are the postal vote application deadline which is 5pm, on Wednesday 18 April and the proxy vote application deadline is 5pm, Wednesday 25 April. EU citizens are able to vote in these local elections. There have been huge real-terms cuts to policing budgets across the country. In London alone, £700 million has been cut from the Met Police’s budget. These cuts mean that in London, we’ve lost 2,495 Police officers and 3,261 Police Community Support Officers. The Met Police still needs to find a further £370 million of savings by 2022 – meaning police numbers could fall below 27,500 by 2021 – the lowest level since 2002. 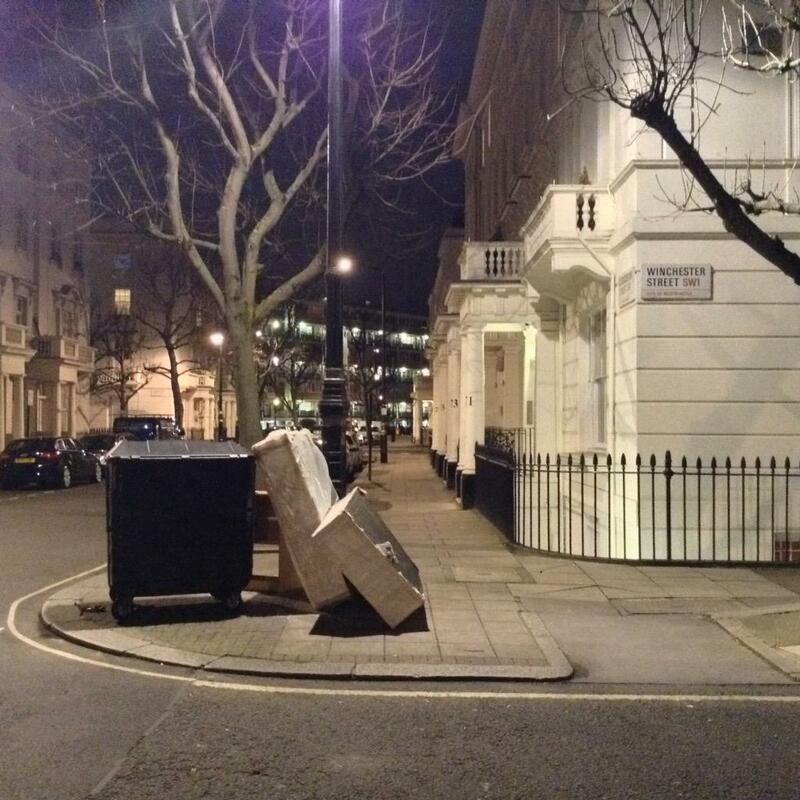 Use mobile cameras to help enforcement at fly-tipping ‘hotspots’. Target Council inspections and waste collection to the worst-affected areas to tackle the scourge of fly-tipping. We have published a dossier of ’20 nightmare stories’ from City West Homes’, based on the experiences of CWH tenants and leaseholders over the past few months across Westminster. All have been reported to CWH for action and some problems have now been resolved – but only after a Labour Councillor had intervened. This is not the way to run an organisation responsible for 12,500 tenants and 10,000 leaseholders. How many more similar stories of incompetence and neglect go unreported because the tenant or leaseholder has not been able escalate the problem by reporting it to a Labour Councillor? City West Homes is in need of a radical overhaul and Labour is pledged to do this following the May Council elections. Please let us know if you are having problems with City West Homes. Inside Housing magazine has published details of the number of former council homes now being let by private landlords, after analysing statistics from two-thirds of councils in England. The research reveals that on average more than 40 percent of property bought under Right to Buy is now in the hands of private landlords. The figures for Westminster show that out of the 8,988 leaseholds sold to council tenants, 3,363 — 37.42 percent — are now owned as buy-to-let. Inside Housing says that the average weekly council rent in London is £108 while for private flats it is £359. Bags of Help is Tesco’s local community grant scheme where the money raised by the 10p Bag for Life charge in Tesco stores is being used to fund community projects that benefit the local community. Following a public vote, three projects in each Tesco region will receive an award every two months, with first place receiving up to £4,000, second place up to £2,000 and third place up to £1,000. Who can apply? Grants will be awarded to voluntary or community organisations, schools, Parish Councils, local authorities and social housing providers. What kind of projects will Bags of Help fund? Projects that benefit the local community are eligible for funding – from improving community buildings and developing outdoor spaces to buying new kit or equipment, training coaches or volunteers, and hosting community events or activities. Please let us know if we can be of help or assistance on any local issues. We are concerned that the current road works in the Glastonbury House area are causing difficulties for the less mobile, particularly those with mobility scooters who are forced off the pavement. We have asked the Highways Department if these road works be speeded up. We are also concerned about the number of overflowing black bins at Sussex Street, Gloucester Street and Abbot’s Manor which suggests a wider problem. We have asked the Council’s Refuse Team to look in to this. We have written to CityWest Homes (CWH) to call for an urgent review of their call centre operations. We are getting continual reports of residents who can’t get through to the call centre – and not getting an adequate response if they do make contact. When the local estate offices were closed and the call centre was proposed we were promised a more efficient service, with officers being freed up to go out and talk to residents and deal with problems. The reality is that there has been a real reduction in service, leaving residents feeling cut off and neglected. Our concern is that vulnerable tenants will be especially affected – and the continued lack of response from the call centre may lead them to give up trying to contact CWH to deal with urgent repairs. We are continuing to oppose the London Borough of Wandsworth’s plans for a pedestrian bridge at Nine Elms. The Deputy Mayor from Transport, Val Shawcross has issued the following statement to provide clarity on the Mayor’s position. We have launched a petition calling on the Government to halt its cuts in the Metropolitan Police budget immediately. Further police cuts will make it more difficult for the police to keep neighbourhoods in Westminster safe and secure, as well as dealing with the increase in everyday violence and the constant terrorist threat. We are pleased that the Mayor is intruding new planning policies to ban fast-food takeaways from opening within 400 metres of schools in a bid to tackle the capital’s child obesity epidemic. In addition, all new chicken, fish and chip and pizza outlets will have to sign up to minimum healthy food standards before getting planning permission. The Mayor said the move would help deal with the “ticking time bomb” of childhood obesity in London, where almost 40 per cent of children are obese or overweight by the time they finish primary school, the highest proportion in England. We have been listening to Pimlico residents who are worried about the future of popular local eateries and pubs. We have written in opposition to the plans to convert the popular My Cafe at 93 Charlwood Street into luxury flats. Incredibly this is something the Council’s planners are currently supporting, despite the Council’s protestations that they try to prevent such damaging proposals to residential conversions. Similarly, after listening to local people we are supporting efforts by the Cambridge Street Kitchen at 52 Charlwood Street to have greater flexibility in its license to allow locals to pop in for a drink without having to order food. Across Westminster much loved local restaurants, cafés and pubs are being lost to luxury residential conversions (that do not provide any social or genuinely affordable housing) and we believe the Council isn’t doing enough to protect them. We have helped residents with getting assistance from City West Homes for flooding in the basement of Kirkstall House. The first leak has been addressed and now City West Homes are working on dealing with the impact of a second leak. “I write regarding an issue on Alderney Street, where moped drivers displaying the Deliveroo logo spend all evening using the road outside as a starting base for their work. When they receive an order on their mobile phone, they rev up their engine and accelerate away causing a loud noise. When they have delivered their order, they return to the same spot, turn off the engine and wait. This pattern repeats 15 or 20 times in one evening, causing distress for local residents. This then repeats for most evenings of the week. Westminster was recently named one of its worst three boroughs for killer pollution. And within Westminster, one of the worst air pollution blackspots is Vauxhall Bridge Road. Local residents have been telling us how air pollution from this busy road is affecting their lives on an almost daily basis. Vauxhall Bridge Road has exceptional levels of traffic, as it’s part of the London ring road and a boundary to the congestion charge zone. It is also a high-density residential area where many vulnerable people live – including children and the elderly – and numerous schools are within half a mile of the road. Families live overlooking major areas of traffic congestion, while other local residents cross it regularly throughout the day to access shops, schools and local buses and Tubes. We are calling on Mayor Sadiq Khan and Westminster City Council to put Vauxhall Bridge Road at the top of their air pollution hit lists. Please join us and sign the petition below. Plans to build a 50 metre Olympic-size swimming pool and diving area in the redeveloped Queen Mother Sports Centre would send the cost of rebuilding the new Sports Centre soaring to £35 million and lead to the development of a huge towering building on the site, in order to pay for the costs of the new facilities, Labour Councillors have warned. Labour also warn that if the development above the Sports Centre is residential then there would likely be no affordable homes as all the ‘community benefit’ would go towards paying for the new Olympic size pool and sports centre. Labour Councillors say that it is very likely that the Council would want the new £35 million sports centre to be built at no cost to the Council, as in the case of the new Moberly Sports Centre in Queen’s Park where two large luxury residential developments are being built to pay for the new Sports Centre. Labour say that a 50 metre Olympic size swimming pool with diving facilities is not mentioned in the consultation documents. The Noise Team visited the site proactively several times shortly after 6pm, but so far didn’t witness that the site is working beyond the allowed hours. There are parking suspension agreed with the development, as they need to provide welfare facilities and the Council as Highways Authority has to accommodate this. We have asked Sanctuary Housing Association to tell us when a number of long-standing empty properties will be let to tenants in order to ease the housing crisis. Is this the most blatant dumping yet? 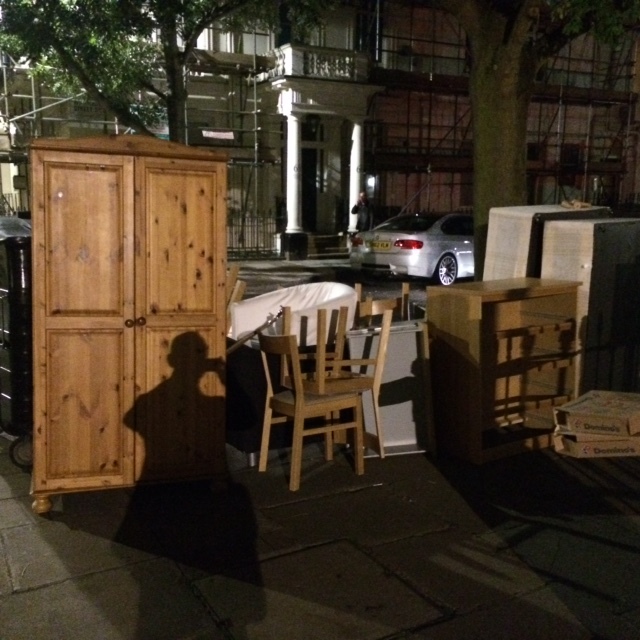 You could furnish your flat from stuff dumped on the street tonight – two beds, two chairs, cupboards, a wardrobe and more! Which landlord is responsible for this latest anti-social behaviour? “What started as an acceptable, indeed worthy idea to redevelop the former Victorian school into a Technical College in memory of Sir Simon Milton, has become a vast vanity project, considerably denser than first proposed. We feel it is a missed opportunity to create a modern equivalent of the elegant and harmonious Victorian houses within the Conservation area of the Pimlico Grid. Not only would the massive building of low-grade architectural worth which is proposed be completely out of proportion and character for the area, it would be a gross overdevelopment of the site. “On Sunday mornings every few weeks I drive a minibus with elderly residents, housebound for the rest of the week, to mass at Holy Apostles Church in Pimlico. I believe they very much look forward to it, for some, it being the only social interaction they have. This Sunday, many roads hundreds of metres from the route, were blocked off due to the Prudential Ride London Event, preventing access to properties where these residents live. Sophia Eglin received 1,216 votes on 7th May. This was one of Labour’s best ever results in Warwick Ward. 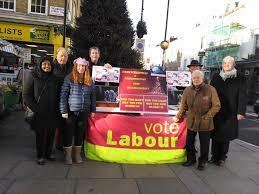 Sophia Eglin, the Labour candidate for Warwick Ward in the Westminster Council by-election on 7th May has said her main focus is to be accountable to local residents and fight for local issues. Since her selection Sophia has spoken to very many residents across the ward and carried out ‘ward walks’ where she identified problems such as fly tipping and issues with broken and uneven pavements which she called on the Council to resolve. 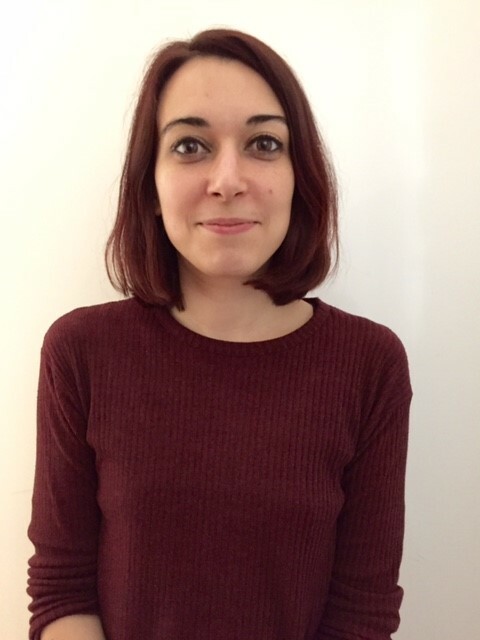 Sophia Eglin, the Labour candidate for Warwick Ward in the forthcoming by-election on 7th May has called on Westminster Council to build more homes for local people following news that the Tory Council have spent £20 million on buying back homes they sold at a discount and on further increasing social housing rents. Sophia Eglin, the Labour candidate for Warwick in the forthcoming by-election on 7th May has called on Westminster Council to take firm action on the problem of fly tipping in the ward. Sopha Eglin is Labour’s candidate in the forthcoming Warwick ward by-election which is taking place the same day as the General Election on 7th May. Sophia won the Labour Party’s selection contest held last month and has been busy campaigning and talking to local people about the issues in the ward. “Abbots Manor is seeing more and more of residential community areas being given to companies. Linbrook was given basement areas of Kirkstall and Melrose House to store their building materials. Workmen come in and out of this residential building at all hours. No residents were consulted and we have not been told about what the deal is. What happens to that money? It has caused a lot of disruption to residents, in the mornings there are many vehicles filling up supplies taking up parking spaces. We are supporting residents’ suggestions that CCTV cameras should be located at this junction to take pictures of those who are dumping rubbish here.